• Sometimes the primary numbers are the story. Other times it is secondary ones that carry more weight. Take the Mariners’ numbers from last night, for instance. Not the final score. That one obviously hurt. A 5-3 loss to the worst team in baseball, at home, with a chance to pick up ground in the wild-card race has to be painful. And we’re not talking about the pregame fight in the clubhouse, either, though there was pain involved there as well. No, the number that really matters from last night is 11,265. The Safeco crowd. On a pretty nice early September evening. With the Mariners, nominally, still in the pennant race. The “nominally” part may be the reason. Are Seattle’s long-suffering fans finally voting with their feet and wallets? Are they finally saying enough and walking away from the over-priced tickets and mediocre product? Let’s hope so. We've been saying this for years but unless it hurts to lose, and hurts more than a locker room left cross, the M’s management is not going to change the parameters. The M’s could have ensured a postseason bid this season if they were willing to spend the money. They didn’t. Instead of taking on salary with a rent-a-player in the form of a solid starter, they punted. And relied on hope. Again. It didn’t work. Again. And the M's fans just took it. Again. Wait, that’s my point. Maybe the fans aren’t taking it. The attendance number was bad and that's good. • There was a well-reported altercation in the clubhouse before yesterday’s game which, on the surface, seems disconcerting. It should, even deep down. The operative word here is “sometimes.” As in occasionally, time to time, now and then. Not always. Not most of the time. Sometimes. The other times? The scuffles breed discontent and discord. With the way the Mariners have been playing, the latter prospect is probably the most likely. If you want to put a date on when the M’s chances to make the postseason died, Sept. 4 will be etched on the tombstone. Digging deeper, however, Theo Lawson discovered it was just the seventh time a Mike Leach WSU team had not given up a sack. Bad offensive line play? Not exactly. The Cougars throw the ball so often, a sack or two will probably happen. And the last two quarterbacks Washington State have used almost exclusively, Connor Halliday and Luke Falk, weren’t Russell Wilson deceptive or agile. Minshew has already shown an ability to move away from pressure and buy time. That’s good. But a sack, even on third down, is better than an interception. WSU: The story on the offensive line play is among Theo’s work for today. That effort includes the reasons behind defensive lineman Misiona Aiolupotea-Pei’s absence from the depth chart and the Cougars’ standing in the polls. He also has his weekly Pac-12 power rankings. 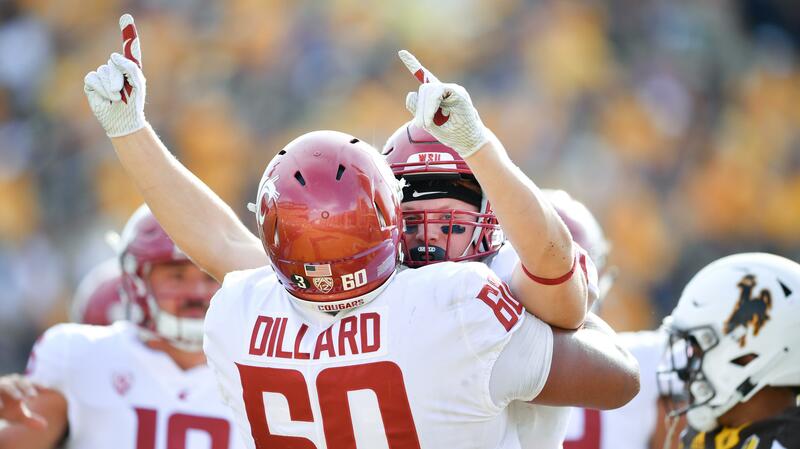 … Tuesday is the day players are available to talk with the media and Theo posts video of the conversations with Andre Dillard, Dillon Sherman and Jahad Woods along with Leach. … Finally, Theo joined Larry Weir for a look at the Wyoming win on the latest Press Box pod. … The Times’ Scott Hanson has some of Leach’s thoughts about Wyoming and this week’s opponent, San Jose State. Elsewhere in the Pac-12, it’s a good day for power ratings and polls. It is also a good day to try to figure out what’s up with ESPN. … The Washington players know they let a chance get away against Auburn. They probably don’t care much they fell to ninth in the nation. … Other than quarterback, Oregon still has some offensive questions. … Oregon State’s biggest question is at quarterback due to Jake Luton’s injury. … Stanford, which faces USC and freshman quarterback JT Daniels this week, climbed the polls. … A change from blue to red has done a Utah linebacker a world of good. … The Todd McNair case just won’t go away. … UCLA is starting a freshman at center. … The running game is alive Arizona State. … It took some time away for an Arizona lineman to rediscover his passion. Gonzaga: This is not good news. Last week, Jim Meehan reported Geno Crandall is not yet enrolled at GU, though he was expected as a grad transfer from North Dakota. The Grand Forks Herald is reporting today the guard is still enrolled at UND. Crandall is either finishing up his course work to graduate, which means he couldn’t play for Gonzaga until the second semester, or he has changed his mind about leaving. Stay tuned. … Courtney Vandersloot broke records at Gonzaga. Now the point guard has broken records in the WNBA. Dave Trimmer talked with her about her record-breaking season. Indians: Around the Northwest League, Everett will throw Hisashi Iwakuma in the opener of the three-game playoff series with the Indians. The veteran right-hander needs a rehab start. … Eugene really didn’t expect to be in the postseason. Preps: It’s Wednesday, so we can offer roundups from yesterday’s volleyball and soccer action. Mariners: Yes, there was a pregame fight. Reporters were ushered out of the clubhouse as it was beginning but the noise reached the hallway, as did brief glimpses of what was happening. 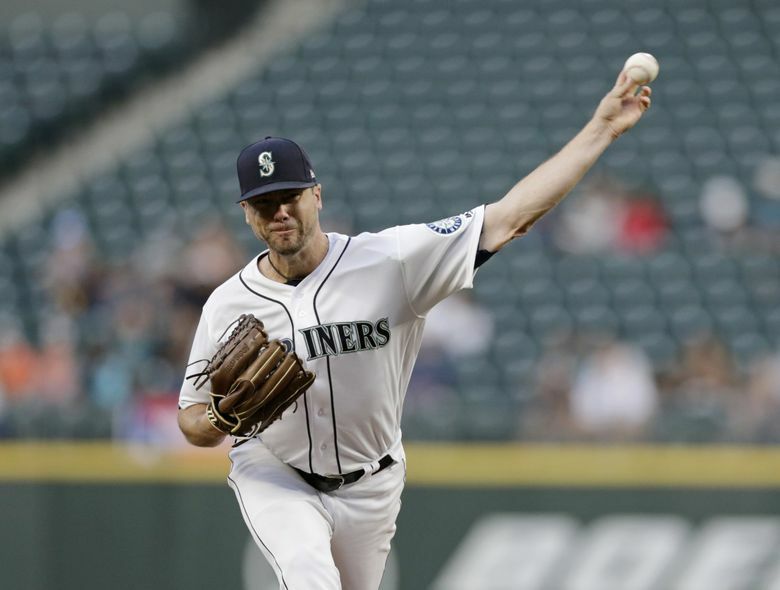 And yes, the M’s bullpen was disastrous after Wade LeBlanc was pulled after six innings and just 68 pitches. And, no, the season isn’t over. But 5.5 games back, still, and only 24 games left, it is bleak. … There is one big problem with this idea: What if the Mariners don’t want to buy? … Edwin Diaz won another monthly award. Seahawks: The 2018 version of the Hawks is nothing like its predecessors. The changes have come quickly since the back-to-back Super Bowl seasons. … Rashad Penny is expected to play a big role in the future. … Still, there are questions. Sounders: Why did Chad Marshall receive a red card in the last match? Only these guys know. Published: Sept. 5, 2018, 7:55 a.m.